This one might be fairly self-explanatory but it is definitely smirk-worthy. Vegas pool clubs where you can find or be one of the bare-bosomed girls include Moorea at Mandalay Bay, Bare at The Mirage, Venus Pool Club at Caesars Palace, the Sapphire Pool and Naked at Artisan. 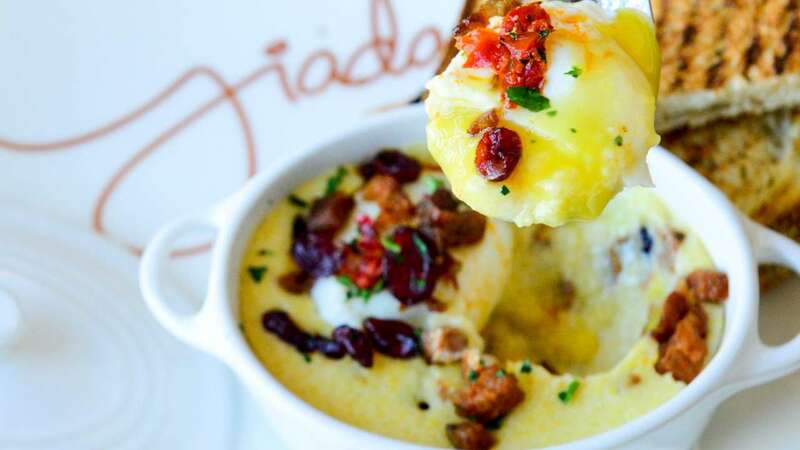 Las Vegas is a foodie’s died-and-gone-to-heaven-dream-come-true, so bite the bullet and see what all the fuss is about. Book a fancy-schmancy dinner in one of our restaurants that are a lineup of who’s who in celebrity chefs. There are so many, it’s like reading their names out of a celebrity phone book: Andrés, Batali, De Laurentiis, Fieri, Gagnaire, Mina, Puck, Ramsay, Robuchon, Savoy – you get the picture, now make the reservation. 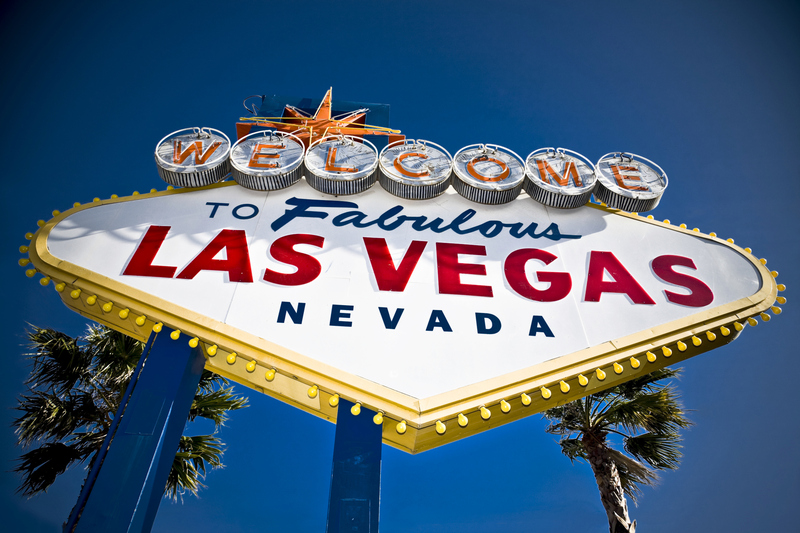 Created in 1959, the Welcome to Fabulous Las Vegas sign is an iconic symbol of Sin City. People once risked their lives running through traffic to pose next to the famous sign, located on the Strip near Mandalay Bay. Thankfully, a small parking lot was built next to it in 2008, transforming the sign into a tourist trap instead of a death trap. Oh, and it’s free. 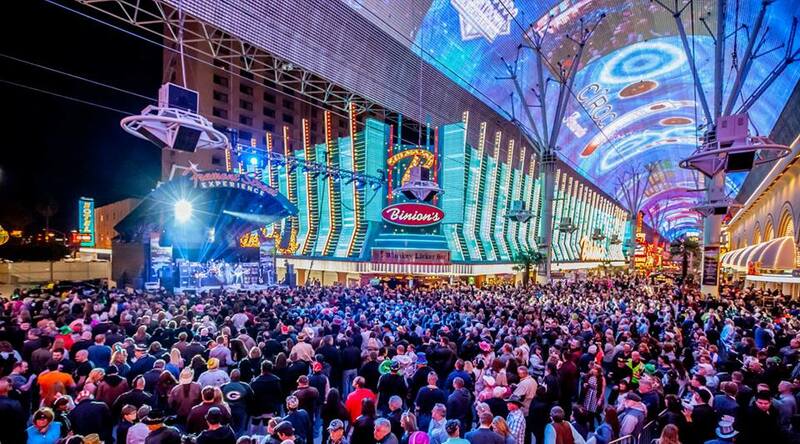 A whole new meaning to “shock and awe,” the Fremont Street Experience is a lot different than you may remember it. This is the land of ultimate debauchery where the once glittery and glamorous meets the just plain weird. Lined with vintage hotels, restaurants and bars spanning the four-block corridor and covered by a giant digital screen, this downtown Las Vegas destination is the ultimate block party. There is a lot to do and see, including shopping at specialty kiosks, riding zip lines and watching free concerts and costumed buskers of various levels of sobriety. Las Vegas offers plenty of opportunities for the girl next door to dance like a stripper. Whether taking a stripping class like XBU – X Burlesque University or Stripper 101 or gyrating on the stripper pole in your VIP Party Bus, you too can feel the unsatisfying allure of glassy-eyed detachment and daddy issues while grinding on strangers – if only for one night. 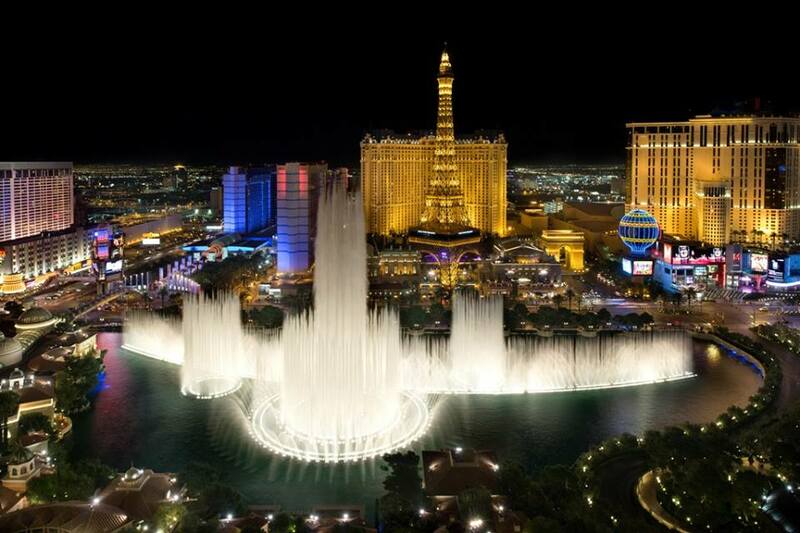 One of the flagship attractions in Vegas, it’s a crazy awesome fountain show perfectly timed to 30 different songs from the Rat Pack to Celine Dion, and everyone in between. For the first time in history, the Bellagio has even added an EDM show created by DJ powerhouse Tiësto. Have you ever seen 1,214 water jets pulsate 460 feet into the air to untz untz untz? Neither has anyone else! If you really want a bird’s-eye view of the Bellagio fountain show, get yourself a pair of tickets to the top of the Eiffel Tower. You won’t be able to hear the music from the observation deck but the view is out-of-this-world. Ladies and gentlemen, don't try this at home unless you want stitches and a broken appendage. Photo courtesy of "Zumanity"
It’s no secret that Vegas has world-class entertainment. But you really haven’t experienced all that we have to offer until you’ve seen one of our shows. We’ve got what you want – from mind-boggling acrobats to big name entertainers and even a whole lot of nakedness (probably from both you and the show). If you’re one of the lucky ones who gets pulled out of the audience, you’ll even become one of the stars. Move over Broadway, ’cause our productions are unlike anything you’ve ever seen. 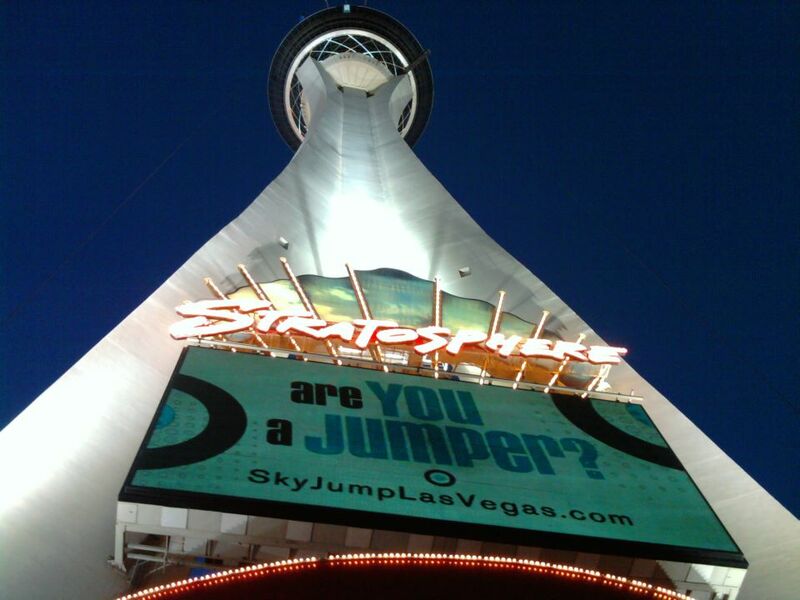 Conquer your fear of heights and your fear of falling while earning a ton of street cred on SkyJump Las Vegas at the Stratosphere. After suiting up in a branded jumpsuit and harness, you will ride an elevator to Level 108 of the tallest building west of the Mississippi, then step off a platform 855 feet above the Las Vegas Strip on this controlled free fall. L-l-l-love is in the aaaair. Photo courtesy of the Venetian. When the moon hits your eye like a big pizza pie…oh sorry, don’t mind us. We’re just floating along, lost in the moonlight, enjoying an Italian serenade. Venice/Vegas same thing, right? OK maybe not. But where else can you see the glittery lights of the Las Vegas Strip in a boat? 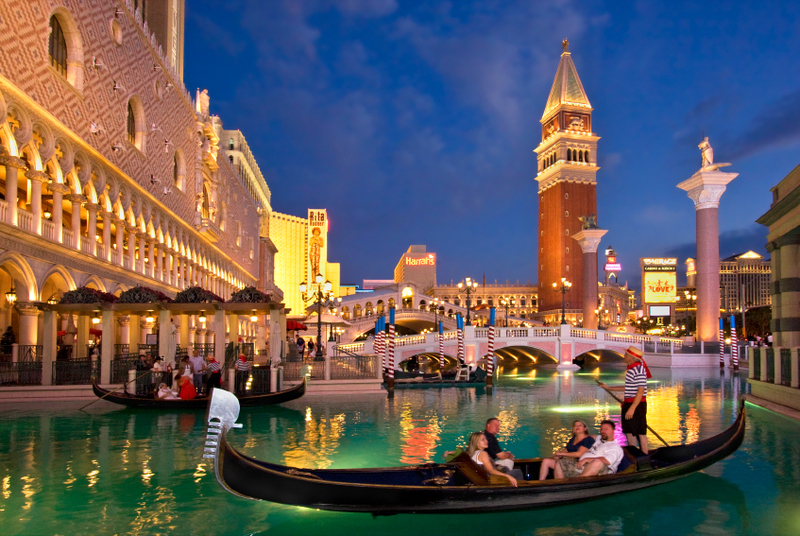 You’ve got to take a gondola ride at the Venetian at least once. 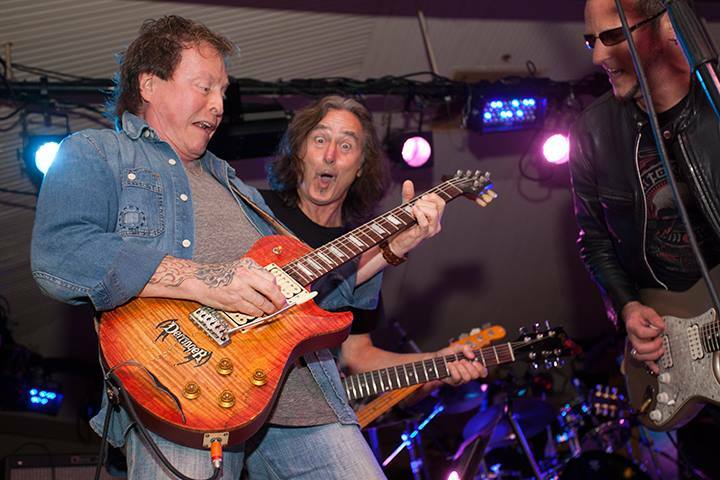 Unleash your inner rocker on stage with real rock musicians at Rock Star for a Day or Rock and Roll Fantasy Camp. At Rock Star for a Day you can jam with select musicians who have recorded with bands like KISS, Guns N’ Roses, Aerosmith, Heart, Mötley Crüe, YES, Quiet Riot, Bad Company and more. Rock and Roll Fantasy Camp, meanwhile, puts you in studio and on stage at MGM Grand with legendary performers like Dave Navarro, Roger Daltrey, Alice Cooper, Sammy Hagar and more. Rock on!